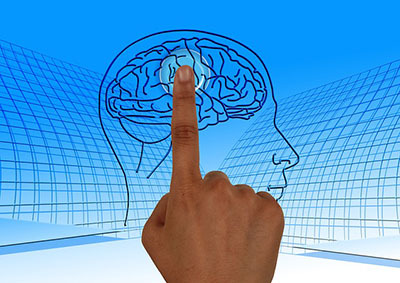 Path-breaking surgery – brain stimulator to restore four Polish lives? 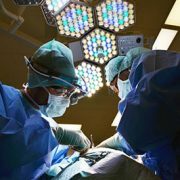 May 17, Olsztyn: in an operating theatre, best Polish surgeons and a Japanese specialist are placing a nerve stimulator in a patient’s spinal canal. She is the first of four comatose people that are going to be treated with this method. Everything goes smooth and she is taken back to her hospital room. The family is now full of hope: the chances that she will wake up some day have increased but they will need to wait for about a month for the results of the first control tests to see if anything has changed. Each of the four stories is different, although they share a common ending – a deep sleep, a sleep that one may never wake up from. The 22-year-old Ola has been lying in coma for 16 years now, Adrian and Sylwia lost their consciousness about 2 years ago and Agnieszka didn’t wake up after experiencing a severe head injury a year ago. All the surgeries were successful, the stimulators are working but the patients are still somewhere between life and death and can only wait (more or less aware of the situation) for the results of this therapy. 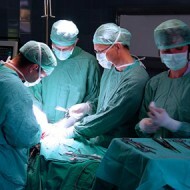 To that day surgeries of that kind were only carried out in Japan. The co-inventor of this method, Professor Isao Morita came to Olsztyn to assist Polish specialists (among others Professor Wojciech Maksymowicz – neurosurgeon, Doctor Monika Barczewska and Doctor Łukasz Grabarczyk) in all the operations and help them monitor and analyse the aftermath. According to his experience the therapy results with significant improvements in about 60 percent of the patients treated. The main part of the stimulator is located on the patient’s trunk, which makes it easy to control, but the electrodes are placed inside the spinal cord. The everyday stimulation improves the cerebral blood circulation and helps to restore the functioning of all body cells. In the course of time some of the patients may be able to make a contact and regain consciousness. It does not, however, mean that they will miraculously stand up and go home. They will probably need to be taught how to sit, walk, eat and speak again, especially Ola who has been sleeping since she was six. All the young people seem to feel well after the surgeries. Only one of them reacted in a surprisingly active way: according to her mother she even cried, which hasn’t happened since she fell into a coma. However, it is unknown, whether it was only a coincidence, or Agnieszka wanted to let everyone know she is ready to fight and wake up eventually. 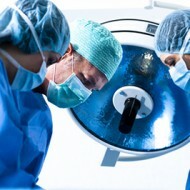 The world of medicine has held breath and is awaiting positive news any day soon.